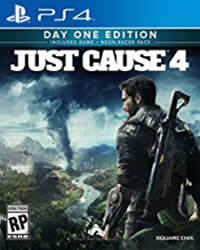 In Just Cause 4, there are over 130 places you can discover, to unlock this trophy/achievement, you need to uncover every location in the game. The map is not fully revealed at the beginning of the game, the further you progress in the game, the more places you will discover. If you have uncovered a region, but not all associated locations are marked on the map automatically. So if you’ve unlocked the map completely, that does not mean that you’ve discovered all the locations. So that you do not despair in your search, we have included a video below that shows you all the places.